Patch 2.4.2 is live on the PTR for testing and headed soon to live realms. For our Seasonal heroes out there, we’ve prepared a two-part guide to Season 7 so you can roll right into a fresh start on day one. Along with the updates that are coming to the Season Journey objectives and Conquests, we’ve got plenty of new rewards for aspiring Seasonal heroes to seek! Here are the glorious goodies that await. In Season 7, we’re continuing the tradition of introducing new cosmetic rewards with each Season! 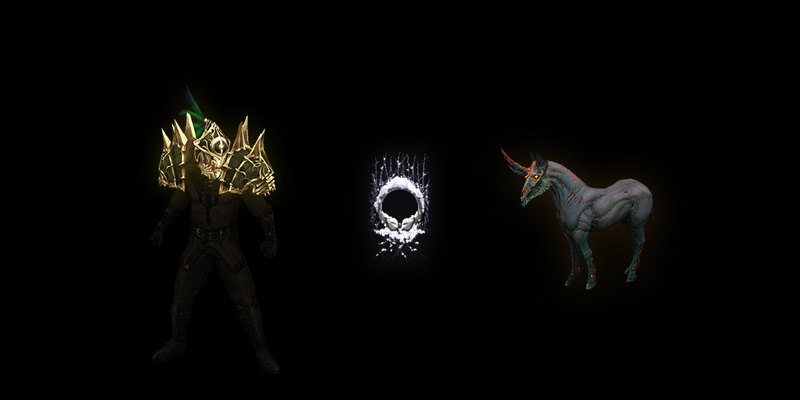 In addition to an exclusive Portrait Frame and the usual rotating pieces of the Conqueror’s Transmogrification set, Season 7 will include a unique cosmetic pet for players who complete the fourth chapter of the Season Journey. In Season 5, we introduced a method of acquiring more stash space by completing the Season Journey. In Season 7, we’ll be bringing back this reward for those who unlock the Conqueror title. Season 5 also introduced Haedrig’s Gift, a special bundle which grants pieces of a specified Class Set upon completing steps in the Season Journey. We covered the details in our previous blog here, so be sure to check out that blog for more details on how to acquire these items! All that’s left to do is await the start of Season 7, and we’ll be right there with you, hitting the ground running on day one! Got questions about what to expect? Don’t forget to check out our detailed FAQ in the first part of our Season 7 preview. What reward are you most excited for in Season 7? Which Class Set do you look forward to donning? Got plans to level up with a friend on August 5? Share your thoughts in the comments and get pumped—we’ll see you in Season 7!